In the framework of multilateral cooperation programs in environmental education and research which is hosted by Kyoto University, Japan and funded by the Ministry of Education, Culture, Sports, Science and Technology, Japan (MEXT) and the Japan Society for the Promotion of Science(JSPS), the International Symposium on Global Environmental Studies Education and Research in Asia was co-organized by Kyoto University and Mahidol University at Mahidol University, Thailand from 13th - 15th of November 2016, in which Dr. Hoang Hai (Director of International Cooperation Department of UD) and Assoc. Prof. Tran Van Quang (Head of Environmental Engineering faculty, University of Science & Technology, UD) was representatives from the University of Danang. 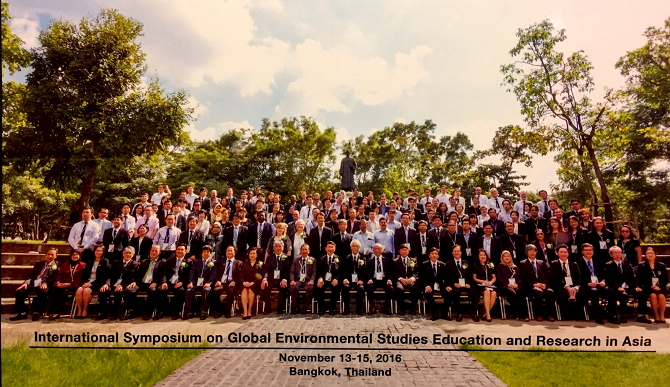 This year, nearly 180 delegates from universities from USA, France, Italy, Japan, India, ASEAN countries such as Cambodia, Laos, Indonesia, Malaysia, Myanmar, Philippines, Singapore, Thailand, and Vietnam participated in this event. The symposium also witnessed the participation of several companies in the field of environmental technology and consultants from Japan and Thailand. The symposium also witnessed the MOU signing ceremony in joint master degree between Kyoto University and Mahidol University, University of Bogor, Indonesia and Bandung Institute of Technology, Indonesia. 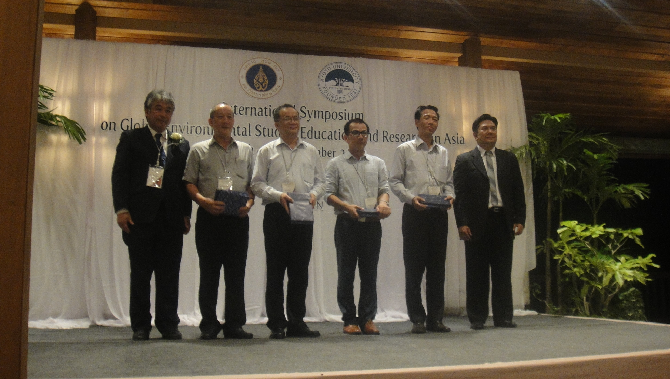 In particular, the symposium devoted significant time to listen to the presentation of 30 young researchers receiving grants from the fund "incubators" of the Graduate School of Global Environmental Research (GSGES) of Kyoto University, in which 3 faculty members from UD were selected. Overall, a total of 16 faculty members have been selected to participate in the UD's research collaboration with Kyoto University under the sponsorship "incubator" from 2014 to the present. This proves that UD has always focused on research collaboration with foreign educational institutions to become a research-oriented university in the future. In the framework of the program, on November 15th, all delegates visited the mangroves reserve Khlong Khon in Samut Songkhram province and the drainage systam Khlong Lat Pho at the Chao Praya River, Thailand.